Discussion in 'Lexus Lounge' started by krew, May 19, 2015. Clicking around on the Lexus International website, I came across this excellent description of the brand’s design philosophy. RAL, CIF and mmcartalk like this. ...............but, even so, I fail to see some of what Lexus is doing today as true advances. On the other hand, I certainly give the company credit where I think it is due, such as in superbly-done hybrid drivertrains, some of the best and smoothest paint jobs in the industry, the superb NuLuxe upholstery (which IMO feels as nice as the finest leathers I've seen in Jaguars), and (usually) better treatment at dealerships than with the German upmarket brands. RAL and CIF like this. Interesting post, but just to add to that, Lexus also has very old-school and traditional luxury SUVs with the GX and LX, yet at the same time they feature VERY innovative on and off-road technology. They also ride on some pretty meaty tires. Also you can get pretty meaty tires on the ES and LS, as well as the SUVs. 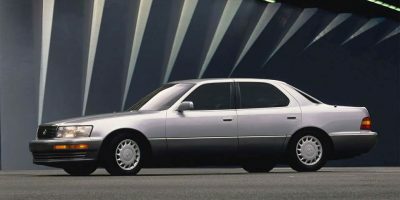 Cars like the IS are the more sporty Lexus models, so naturally they wouldn't have as thick tires as the other more comfort-oriented models do. Also I will say that Lexus went through an organization change in the mid-to-late 2000s that temporarily slowed down their innovation, but I think you should see it speeding back up in coming future models. The LFA was extremely innovative, even though it was a very limited production vehicle. A lot of that innovation will soon find its way to future models. Even now, some of the innovation that Lexus is using like dual-cycle Atkinson and Otto engines are noteworthy. I think Lexus uses Atkinson-cycle engines on at least some of their hybrids. I mentioned in my last post that's one of the things that Lexus really deserves credit for....the superbness of their hybrid powertrains. Ah, but I think it does. I see this YET philosophy as a guiding principle -- say what you will about the polarizing exterior designs of the current lineup, but there's no question the interiors are as inviting as ever. In fact, that's what I was thinking with the example "modern yet comfortable". The spindle-grille issue is something that goes way beyond just me. To be honest, there are basically two large groups....one that likes loves them, and the other that dislikes or hates them. I generally fall towards (but am not completely with) the latter group. but there's no question the interiors are as inviting as ever. In fact, that's what I was thinking with the example "modern yet comfortable". I'll agree that the basic looks of the newer interiors aren't bad (the chrome/brushed-metal/woodtone trim/carbon-fiber, etc.......are still there). But the main difference, at least from what I can see and feel, is that today's Lexus interiors, while plush-looking on the surface, simply don't have the same material thickness/solidness underneath....and is often just thin plastic made to mimic the looks of more expensive materials. And the lower-line Lexus products today (IS, CT, NX) don't seem to have much in the way of Lexus-type sound insulation either. For instance, I own and drive a 25K Buick Verano that is distinctly quieter on the road than any of the entry-level Lexus products. Of course, step up to a new GS or LS, and you DO get quietness and smoothness, but at a vastly higher price. You also do with an ES....but not as much as in previous ES models. Yes they have for a few years now. On the newest Lexus engines though, they've innovated and come up with a new variable valve timing system, VVT-iW, that can allow the engine to change between Atkinson and Otto cycles. The new Lexus 2.0L turbo engine in the NX, as well as the 5.0L V8 in the RC F and coming GS F are examples of new Lexus engines with this ability. That is quite innovative, as I'm not aware of any other large-scale automaker utilizing such technology on mainstream models. Switching between both Otto and Atkinson really allows the best of both worlds so to speak, and helps maximize the efficiency of an engine. Combine that with Toyota's innovative direct and port injection system, D4-S, and you get engines with a lot of powerband flexibility while at the same time having high efficiency. Joe, mmcartalk and RAL like this. The YET philosophy and design: this is exactly what Lexus achieved in the last few years. Daring, yet successful. In my opinion, until recently, Lexus design was quite nice. But nothing more, just quite nice. I prefer design that creates discussion. In some opinions, the spindle grille is an awful darth vader face. To others, it is a striking nose with its own personality. Fact is that it sells better. More importantly: in Europe, it attracts much more drivers of the traditional best selling German 3 than before. And that's what Lexus really needs. Most of you will know this anecdote: at the time of the development of the current GS, the chief designer drove on the German highway and was impressed with the importance of a striking front design. Driving on the left side at app. 200 km/h, people moved out of the way when he drove a BWM, Merc or Audi with their respective recognizable 'noses'. With the previous gen GS, he needed to flash the headlights constantly to push people aside to pass. That's the reason why he adopted a front design with much more character than before (i.e. the predecessor of the spindle grille). Also extremely important: Lexus achieved a modern recognizable design signature, but no Lexus model looks like another one. They all have their own specific personality. The German premium brands all have an identity problem within their own model range: they all look the same. A 3-series looks like a 5 series, a C-class like a small S-class and an Audi A8 looks like a blown up A4... What is worse: the new generation always merely seems to be a facelift of the old one. As far as it comes to design, these brands also apply the YET philosophy: successful, yet dull. Thanks for the heads-up, Joe. Some of us may know that, but I myself was not aware that that was the origin of the spindle-grilles...getting German cars to move out of one's way.